I grew up in the San Joaquin valley surrounded by orchards and endless fields of vegetables. My family had walnut trees and a huge garden which I helped tend. 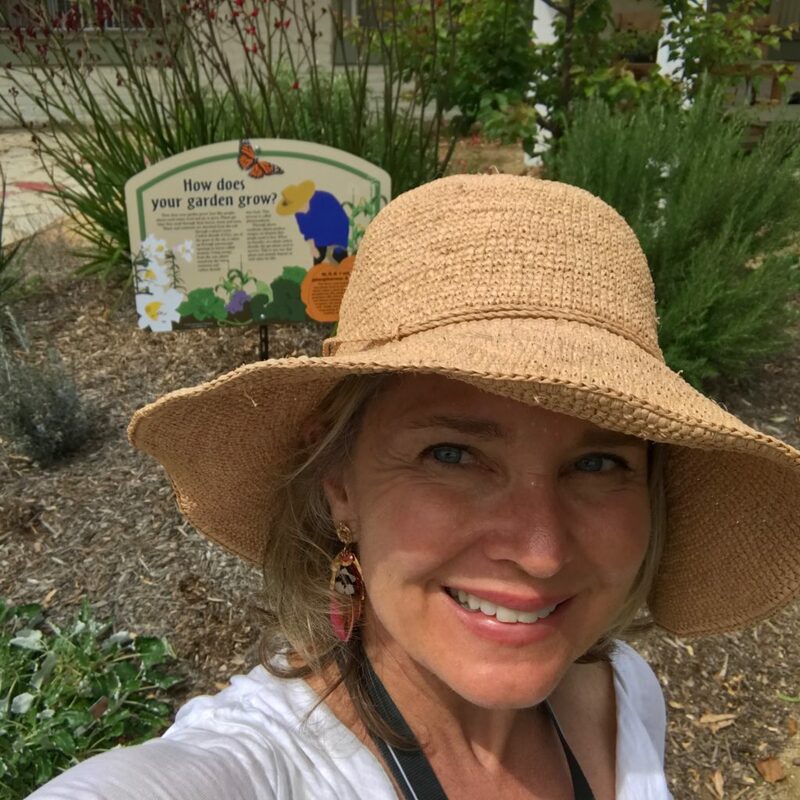 My love of all things plant related was really sparked when I studied sustainable landscaping and California’s Floristic Province through the Master Gardener Program at the Santa Barbara Botanic Garden and then later at Pierce College and UCLA. Ultimately, I came to landscape design as a second career when my kids were little. Satori Garden Design was born in 2008, at the same time as the city of Santa Monica was offering generous rebates for homeowners who were transitioning away from lawns to sustainable landscapes. Designing many of the city’s rebated gardens helped inform my practice of using low water plants, native flora, re-purposed materials, efficient drip irrigation and water harvesting techniques. I love working collaboratively with clients helping to artfully shape a shared vision of how they want to live outside. I consider myself a teacher as much as a designer so my goal is to not only design a beautiful outdoor space but empower each garden owner with some knowledge and perspective on how they can take care of their garden. 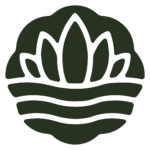 I’m certified in permaculture and the watershed approach to landscape design. The healing power of working with plants and in the soil has always been evident to me and so I eventually became registered in Horticultural Therapy. Since 2013, I successfully nurtured a therapeutic gardening program at Vista Del Mar Child and Family Services. At Vista, I’ve designed, and now maintain, two large school gardens totaling over 13,000 sq. ft. I run multiple sessions weekly with children ages 5 to 22 who have developmental and intellectual disabilities. Daily I’m reminded that nature can heal. Am I glad we used Satori Garden Designs--YES! Did I like Arleen (the owner/designer)--YES! Do the people in our neighborhood continually say what a wonderful new front yard we have--YES! What all the YELP reviewers say is true. Arleen is wonderful to work with. She listens to your wants and needs, does a great job on her design and her costs are reasonable. For those who want more details, my yard is somewhat complicated since we have areas with sun but also large areas that have deep shade. I wanted a drought-tolerant landscape and plants that provided some color. Since most drought tolerant plants are for sunny areas, our yard can be challenging. That was no problem for Arleen. She was able to build a front and back yard that works beautifully throughout and is thriving in both the sunny and shady areas. Moreover, she is familiar with various rebates available for changing to drought tolerant landscaping so she makes sure her designs will meet rebate requirements. I also wanted a new entry from the street that made it more inviting to guests. She provided this in her design along with a rain garden that gives the appearance that it is a dry creek under the new walkway. I was planning to have a simple backyard since we already have a deck. However, her plans turned the rest of the backyard into a nice retreat by using the driveway concrete that we were replacing to make a casual patio and walkway. (Reuse of existing materials meant a cost savings as well as great recycling that resulted in a beautiful backyard!) Arleen also used a landscape contractor named Abelino and he and his staff are hardworking, do a good job and leave the area neat at the end of the day. In addition to preparing the yard, handling the irrigation installation, planting and lighting, he and his workers also did an outstanding job on some brick work that was required. They carefully matched existing brick so you cannot tell which is the old and which is the new brick. Overall, it was a professionally done job throughout. BTW, I waited two months after the work was completed to write this review. We have just had a long hot spell and the plants are doing just fine. After two previous, disasterous efforts by other contractors to redesign my front yard, I cut my losses and contacted Arleen. Wow, did I hit the jackpot! I could easily repeat all the other accolades previous reviewers have posted here. Suffice it to say that Arleen did a great job, her design was beautiful, her team was prompt, worked hard, and left each day's work only after totally cleaning up. Arleen had a comprehensive study done of my yard's soil (result was terrible: how did anything ever grow there?) and customized the blend of mulch, compost, and other additives to ensure that the soil could now support the plants we decided on. She stayed on budget, which was fair and competitive. As others have noted, Arleen is a thoroughly enjoyable person to work with. I would be happy to recommend Arleen and Satori Garden Design to anyone who is considering using her services. Arleen is very helpful and easy to work with. She is extremely knowledgeable and saved me about 50% off the cost I was quoted from a nursery. She is very efficient and clearly enjoys her craft! Satori Design transformed my run of the mill San Fernando Valley front yard from a thatch-infested lawn with old-fashioned garden beds into a sprawling, modern drought tolerant beauty. I constantly get compliments from neighbors and people passing by. Arleen has a keen sense of design combined with a thorough understanding of plants and their tolerances. Anyone looking to re-landscape needs to look no further than Satori Design. Copyright © 2019 Satori Garden Designs, Inc. All rights reserved.